As a member of the House of Delegates, he serves on the Science and Technology Committee; Militia, Police and Public Safety Committee; Agriculture, Chesapeake, and Natural Resources Committee; the Virginia Commission on Intergovernmental Cooperation; and the Virginia Small Business Commission. Alfonso served as Governor Kaine’s Director of the Virginia Liaison Office in Washington, D.C. where he directed and supervised all Congressional and Federal Relations for the Commonwealth. He also served as the Governor’s representative to the National Governors Association, Democratic Governors Association and the Southern Governors Association. Alfonso was the highest ranking Latino in the Kaine Administration. He also served as the Deputy Policy Director on Governor-Elect Kaine’s Transition Team. In 2016, he has served as regular surrogate, media spokesman, and speaker for Democratic candidates and campaigns in Virginia. He also served as the Whip Captain for Ambassador Clinton’s Delegates to the Democratic National Convention in Philadelphia. Alfonso has served on numerous Arlington and regional Boards and commissions. He was a Member of the Arlington Fiscal Affairs Advisory Commission from 2003 to 2006 – where he chaired the Health and Human Resources Committee and was a Member of the Public Safety Committee. He was also the Board Vice Chair of the Shirlington Employment and Education Center and the Board Co-Chair of the Arlington Veterans’ Memorial YMCA. In 2006, he served on the Commonwealth Coalition’s, Virginia State Advisory Board. In this position he worked as a part of a State-wide effort to fight Republican attempts in the General Assembly to pass a Constitutional Amendment banning gay marriage in Virginia. He is currently a Member of the Sorensen Institute for Political Leadership’s State Board. Alfonso’s father came to this country at the age of 19 with $260 in his pocket and the dream of a better life. He worked as a bus boy and waiter, learned English and started attending school. He graduated from NOVA Community College in 1975. Then he took one class a semester every year until he graduated from George Mason University – one month before Alfonso graduated from high school. His mother devoted her life as a teacher and guidance counselor in Arlington Public Schools to helping immigrant children continue their education after high school. Instilled with his parents’ values of hard work and success, Alfonso graduated from Vassar College and received his law degree from Tulane University Law School. He was chosen as a 2003 Fellow of the Sorensen Institute for Political Leadership at the University of Virginia. Alfonso will take the lead to sustain the success of our diverse small businesses – from shops and restaurants on Columbia Pike to the retailers and merchants in Bailey’s Crossroads. The importance of education for all was a driving force behind Alfonso’s upbringing, with his mother dedicating her life to Arlington County Schools and supporting ESOL programs and educating the children of immigrants. Alfonso will support honoring our teachers with a professional wage so they don’t have to choose between making ends meet and serving our community. Alfonso will strongly oppose the use of general fund dollars allocated to public schools, first responders and social services to roads and off-ramps. Alfonso will fight for reduced greenhouse gases and dangerous emissions through energy efficiency programs, reductions in demand and promoting clean, renewable resources like biomass, wind and solar. Alfonso will protect air and water quality for your family based on his work on the Clean Air Act and Safe Drinking Water Act and his efforts to revitalize the Chesapeake Bay. He will continue to advocate for and protect our environment from toxins and be a leading voice for conservation. Alfonso has been a leader to promote tolerance, compassion and protect the civil rights of others as inherent American values. Alfonso will protect a woman’s right to choose, defend the civil rights of all Virginians and promote the value of collective bargaining in the workplace. Alfonso has worked diligently to fight off efforts in the General Assembly to pass a Constitutional Amendment banning gay marriage in Virginia. Alfonso will fight for legislation to codify employment non-discrimination and allow local governments to have non-discrimination policies for their employees. If you have any questions for Alfonso Lopez, send them to Virginia onAir at virginia@onair.cc. 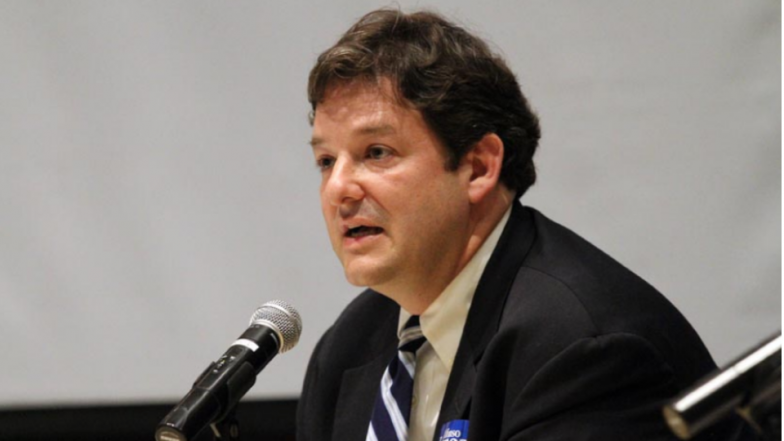 Virginia will first see if Alfonso Lopez has answered your question somewhere else. If they haven't, Virginia will pass on your question to Alfonso Lopez and post their answer, if they have one. If you have any suggestions for Alfonso Lopez, especially if you are a current or former constituent, send them to Virginia onAir at virginia@onair.cc. Virginia will record your suggestions here. If you have something positive to say about Alfonso Lopez and you are a Virginia onAir Hub member, send your recommendations to Virginia onAir at virginia@onair.cc. My name is Virginia onAir. I am the lead curator for this Alfonso Lopez post.